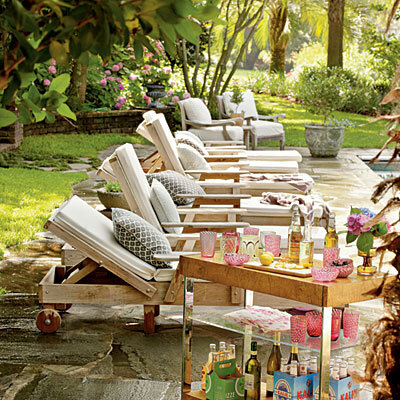 Mix and Chic: Exotic backyard escape! Isn't this the perfect getaway during summer days? With a fabulous pool house like this, it's the perfect venue to host pool parties, casual get-togethers or to entertain family and friends. Or simply a refuge for anyone to escape a hard day's work imagining oneself vacationing in an exotic location somewhere. What are your thoughts? FAB with a capital "Yes please!" Hi Jessie - I couldn't find your email - the office chair you asked me about is VERY comfortable. I would highly recommend it! Thanks for stopping by my blog today ;) Have a great weekend and 4th ... Hope it's sitting poolside like these great photos! Yes - quite heavenly!!! Wish we could escape this heat and relax somewhere like this. Oh man! I think I'll be sitting with my feet in that pool drinking a cold beer as a I drift off to sleep tonight in my hot desert bedroom!! That pool is so amazing. 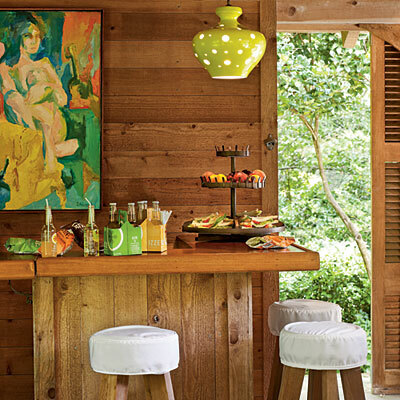 I love the bright colors shown through the pictures, especially the bar cart. 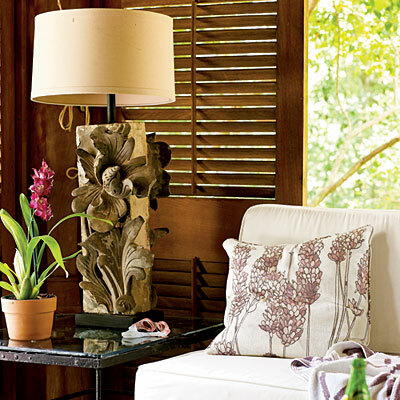 Hi Jessie, this is like bringing the tropics to your own backyard! This is so beautiful. Though, most people who've seen your post/pictures may have wanted the same but have are tight on the budget. Just a few suggestions to those who need advice (if I may? ), I'd recommend to start with choosing the right plants like palms, cycads, bongavilla, coconut trees etc. then purchase a wooden outdoor furniture on any antique warehouse, or in garden shops, or even on junk yard sales (you can find great stuff there). Last, it's all about the landscape. Try to combine sour paspalum and igneous rocks of different types, shapes, colors, and sizes (basalt, granite slabs, river pebbles, etc). Don't forget to construct a hut with a bed and a table (then use white sheets). Ohhh... now that's paradise in your own backyard (in a budget of course)! What do you think Jessie? Will that help our friends here? Margaux: I love all your wonderful suggestions for someone with a tighter budget! They are all great ideas. I hope my readers are inspired by these images and then reinterpret/ recreate them in any way to suit their lifestyle and budgets. Thanks for stopping by!